The Nutrition Facts Label. Look for It and Use It! FDA Reminds Kids to Read the Label! 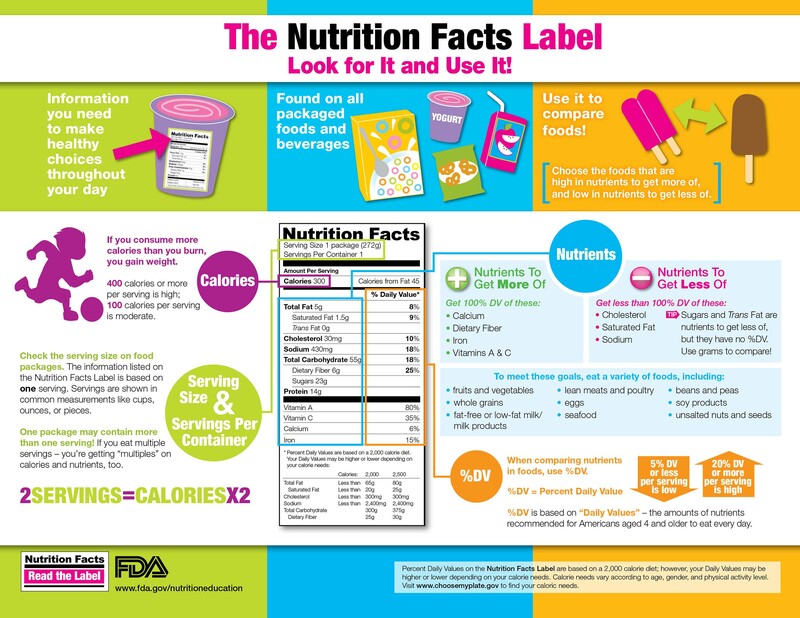 The Nutrition Facts label is a simple tool available on food and beverage packages. 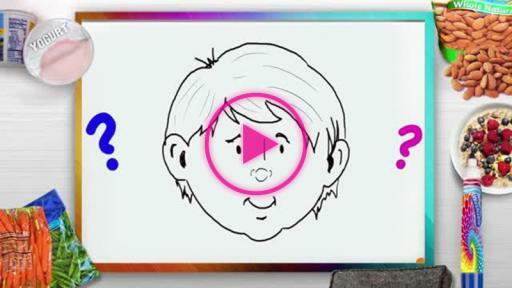 It lets kids know exactly what they’re eating and helps them choose and compare snacks and other foods. The earlier kids start using the Nutrition Facts label, the sooner they’ll be making choices that keep them feeling great and on the path to long-term good health! 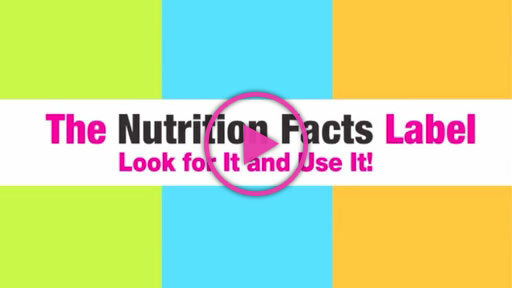 NOTE: The FDA has issued final changes to update the Nutrition Facts label for packaged foods to reflect the latest scientific information, including the link between diet and chronic diseases. The FDA will continue to educate consumers on all aspects of the new label, emphasizing the major changes and improvements that will be seen over the next two to three years. For more information, see Changes to the Nutrition Facts label. Choose nutrients wisely. There are certain nutrients that young people should aim to get “less of.” These are saturated fat, sodium, and added sugars. Kids can use the Percent Daily Value (%DV) on the Nutrition Facts label to find foods that are lower in saturated fat and sodium. The %DV for added sugars will be on the new Nutrition Facts label. Here’s an easy guideline: 5% DV or less of a nutrient means the food is low in that nutrient, and 20% DV or more means it’s high! 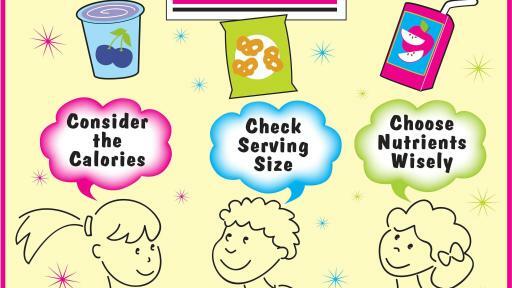 Kids can start using the Nutrition Facts label today to compare foods and make smart snack choices. By knowing a food’s serving size, calories, and nutrients – they can take charge of managing their own healthy diet! Find colorful education materials for kids, parents, grassroots educators and afterschool program leaders! 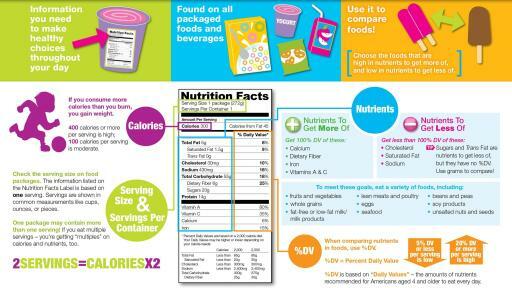 Program elements focus on making it easy to use the Nutrition Facts Label to make healthy food choices. Materials are in English and Spanish and available in PDF for immediate download. 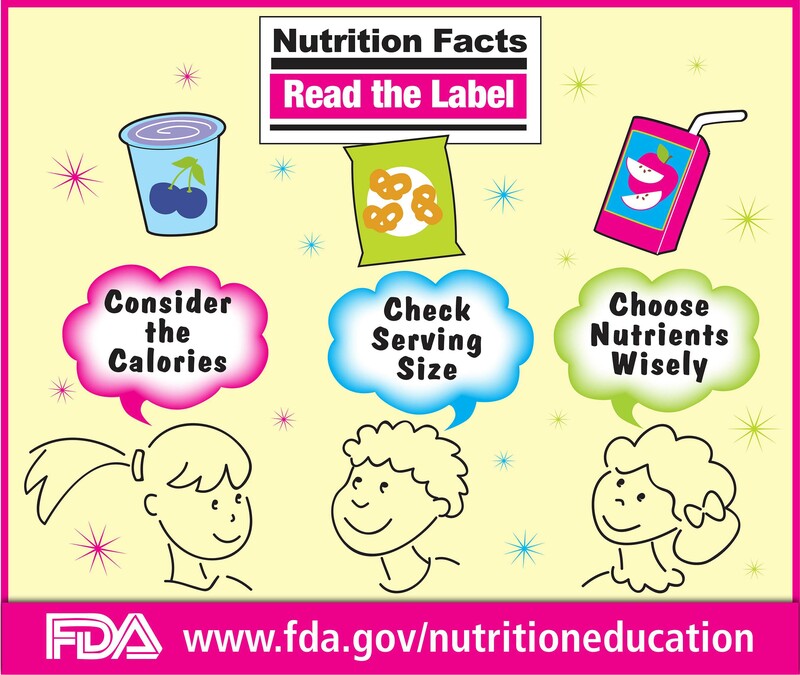 Explore nutrition-specific education materials from FDA. Materials are in English and Spanish and available in PDF for immediate download.